As February moves towards March, the signs in the heavens above us shift – and we enter the realm of Pisces. The symbol for this Zodiac sign has always been that of two fish, separate but bound together. The importance of fish, symbolic of the ocean, of freedom, but also of nourishment and livelihood for so many people cannot be overstated. The fish symbols in the Pisces sign can be interpreted in many ways. Just as the fish that symbolize this sign swim free in the oceans and rivers, those born under this sign are free-thinkers and dreamers. Often some of the most imaginative people around, there is an inner life and zest to Pisces that can be truly beautiful. It will come as no surprise to many that Pisces is a Water Sign. We will expand on the roles of the different elements in Zodiac signs in a separate article. One of the best characteristics we view amongst those that are Pisces is a single minded determination and resolves to improve. Like the fish never stops swimming, Pisceans are often some of the more driven and active people around. This can be on a mental or physical level, but they always keep moving forward. The looping, diving shape of the constellation of Pisces was previous referred to as the ‘great swallow’ constellation in ancient Babylonia, where many of the constellations we recognize today were first mapped. This gracefully migratory bird carries a similar level of grace as the twinned fish the constellation would go on to symbolize. 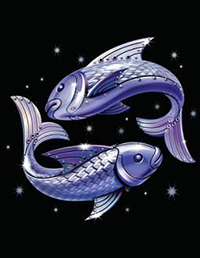 The equatorial position of the constellation also points to the higher desires and purposes that Pisces often informs. COLLECTIVE: We call people born under this sign Pisceans. A POSITIVE ASPECT: This is one of the most compassionate signs. 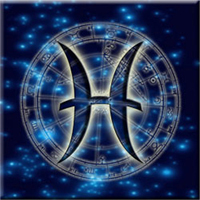 For whatever reason, those that are born under the Pisces sign have the ability to connect to people on a deeper level than usual. As we drift through life, you may find that many of the real connections you forge with people may include a higher amount of Pisceans than you may expect. Some may not show this compassion on the surface, but it remains below the surface and informs both who they are, and how they behave. A NEGATIVE ASPECT: An influx of compassion can often lead to emptiness and emotional bruising. Sometimes it can be difficult for Pisces to roll with the punches. While other signs can bounce back easily, the more delicate soul of the Pisces needs time to recover and reconcile his or herself with the world. It’s not something that every Piscean shows, and many internalize it, but a soul that feels is very common amongst those born under this sign. FAMOUS PISCEANS: Steve Jobs, Elizabeth Taylor, Rosa Luxembourg, Drew Barrymore. I don't know why you would send me a picses horoscope. I'm a scorpio. And, when ever you advertise a free reading or free advice, I've sent questions in and no one has EVER replied. I just have a quick question. I am a pisces and my partner is a gemini. Although we have a fun relationship, so many people have told me that it is hardly likely that we will stand the test of time as they are not compatible signs. Is there any truth in this?